Glue it! Create it! 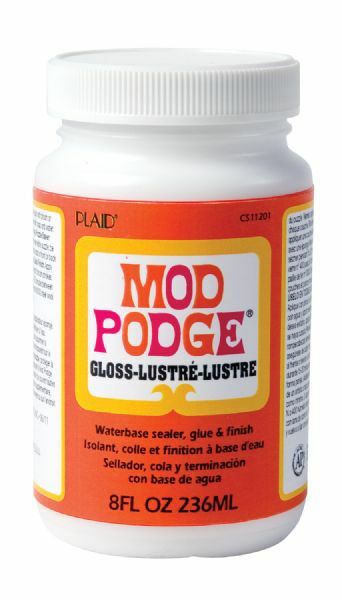 Create decoupage creations with this all-in-one glue sealer and finish. * Use on fashion accessories decorative home accents functional furniture wall art cardmaking scrapbooking altered art and so much more! Convenient and well loved for its flexibilty versatility and supreme ease of use. * Waterbased which means it is easy to clean up and non-toxic perfect for younger crafters. 4.25" x 2.38" x 2.38"